Group your imps and give them gold for shopping. You don't have to sort your group by size, it will be done automatically for you. 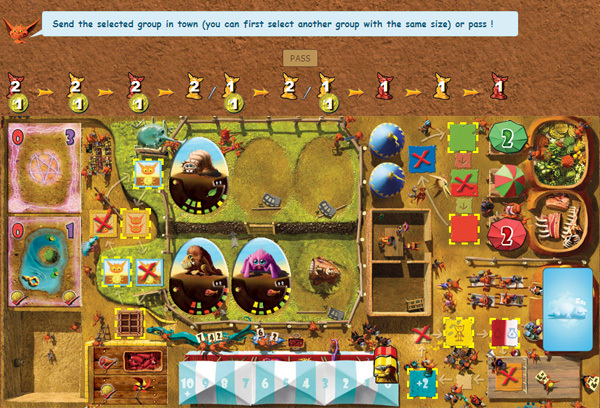 The turn order, based on group size, is displayed above the board. Pick an action opens a window with more details. 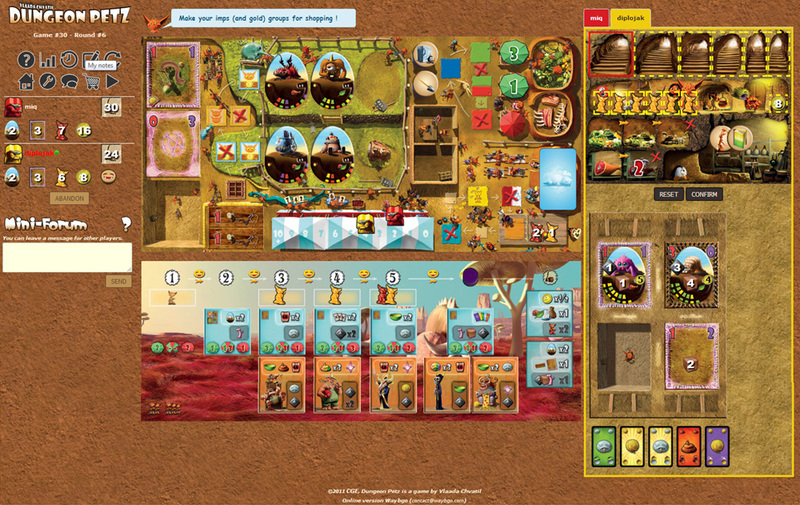 For 2 or 3 players, some action spaces are not available ( ). First place your cages, then install your pets. 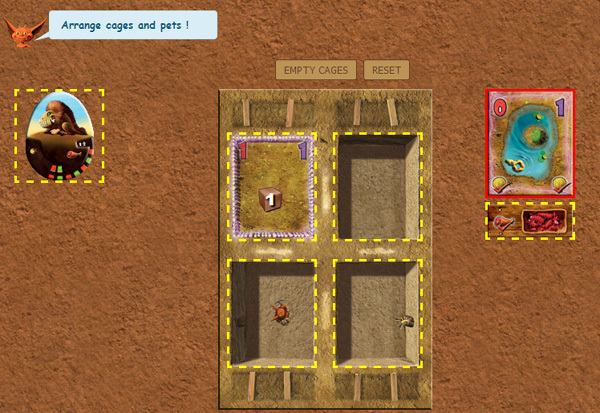 To choose a new cage for a pet you already have, first "empty cages". 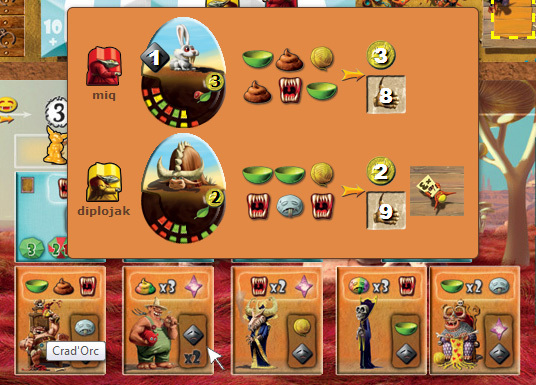 Select a card, assign it to a pet, until you have assigned one card for each revealed color bar. Click twice on a card to turn it upside down (see rule "double-symboled cards"). You can take an assigned card back in hand by clicking on . For each monstre, each need is evaluated. 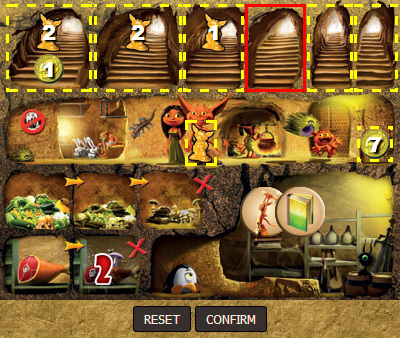 Some steps are automatic, others need you to use food, items or imps. 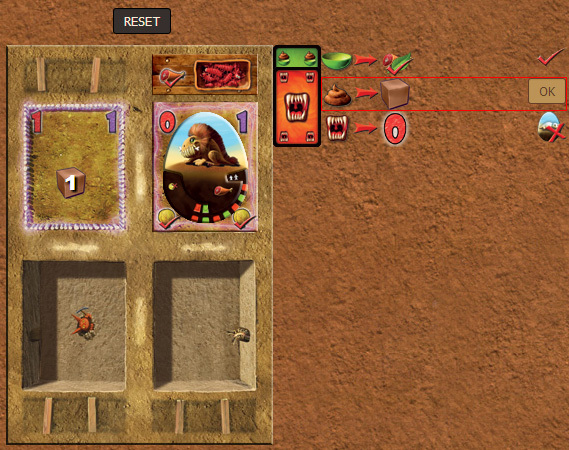 In the example above, the hunger need is automatically satisfied with the cage addon, the poop need will add a manure token into the cage, and the anger need will require an imp if you don't wan't the pet to escape ( ). Scoring an exhibition is automatic. 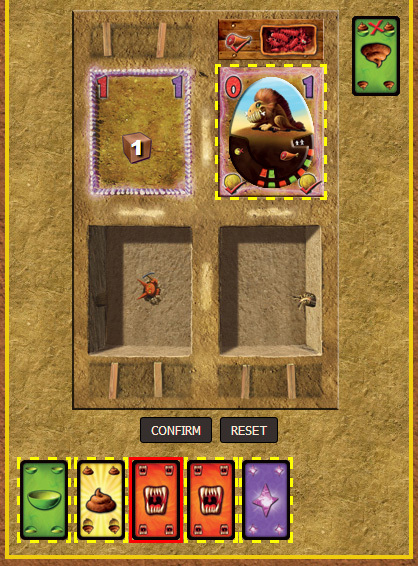 For single-pet exhibitions, your best monster is chosen. On the progress board, move the cursor over a previous exhibition displays the scoring details. On the progress board, move the cursor over a customer tile of a previous round displays the detail of the sale.